Synopsis: This text is available in English and German. 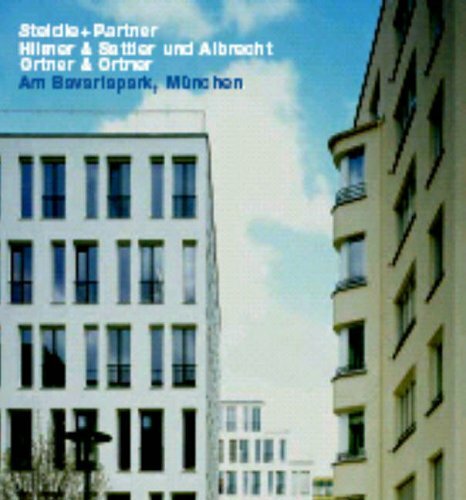 An urban quarter with an identity of its own has come into being by the Bavariapark in Munich. It is based on an urban-development design by Steidle+Partner and involved various architects. Otto Steidle interpreted the Munich town-planning motto 'compact - urban - green' by logically taking up the grid of the Westend area in the northern part of the quarter: the city is to continue to be built as a metropolis here. The 'esplanade', on a surprising large scale for this part of the city, along Ganghofer-Strasze fulfils two functions: with its large office buildings flanking the block periphery it forms the urban spine of the new quarter, and at the same time creates a connection with the surrounding 1920s and 1930s housing. The architects have realised a paradox in the internal park of the Munich exhibition centre, which used to be only partly accessible: they create a sense of spaciousness by extreme compression. The point buildings, exposed on all sides, stand at the edge of the park in two rows; views through dominate the scene, with glimpses of the old trees and the three old, listed halls which are becoming the new cultural centre of Munich's west end because the transport museum is moving in.